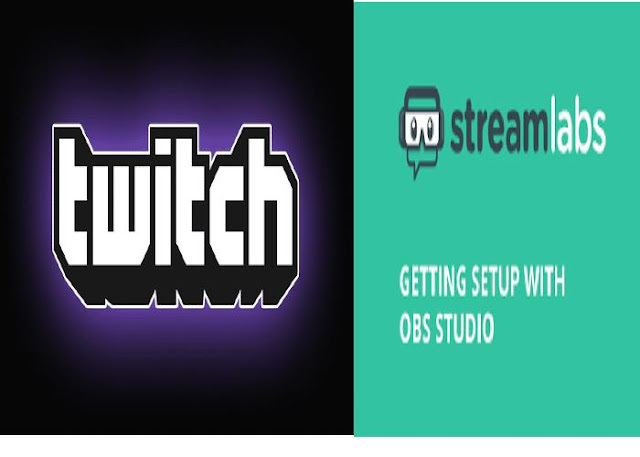 Today i will be showing you are simple guide on how to setup donation on twitch with streamlabs. Accepting donations from viewers is a popular way to earn additional income and Streamlabs OBS is a free and reliable app with the fastest set up process, Trusted & used by the largest streamers since 2014. 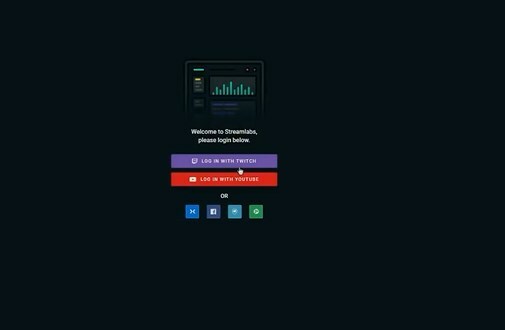 Step 2: Open a new tan on your browser and visit www.streamlabs.com (They don't Charge you for the donations you receive). 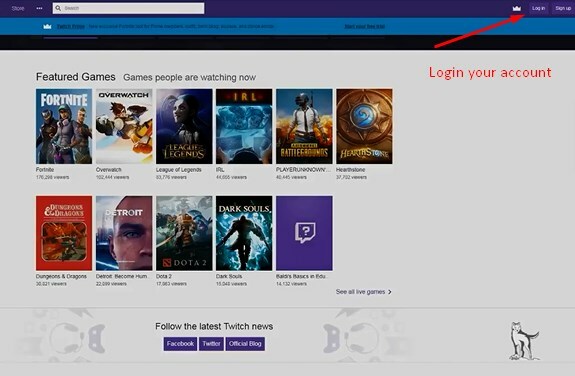 Click on login in the top right Corner, you don't need to create an account, just click on login and your login Information will be automatically Collected from twitch. In Other for that to work you must be login on twitch. Step 3: once you are on the logged in screen move over to the left Sidebar and click on donation settings. Step 4: on the donation settings page you will find the donation methods you prefer to use which include PayPal, credit cards, unitpay.ru, skiril and others. In this guide we are making use of paypal. 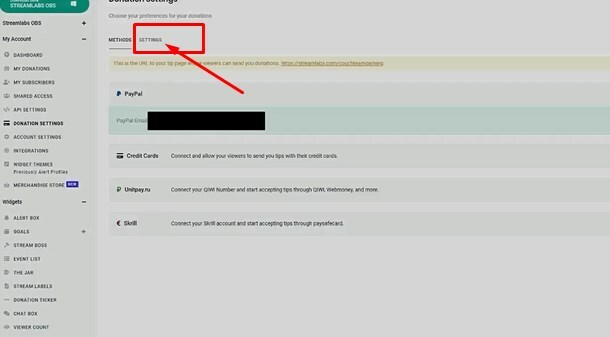 To connect email, Click on paypal and a window will pop up input your paypal email address to link it to your twitch account. You should see Connected at the right side. My currency: This is the currency you are going to be using. Maximum message length: This is the maximum length of message that can show up on screen, it is better to leave it at the default 255. Login Required: Donors will be require to login before making a donation, this will help you fight fraud and chargebacks. You can either turn this feature Off or On. Preferred lingo: It is what shows up on your page. 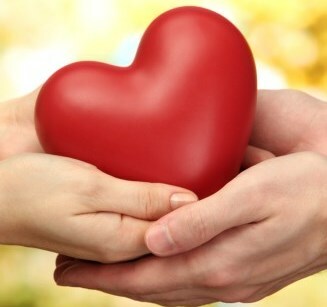 The preferred lingo is between Donation, Tip and Custom. It is up to you to choose the preferred word you will like to use. 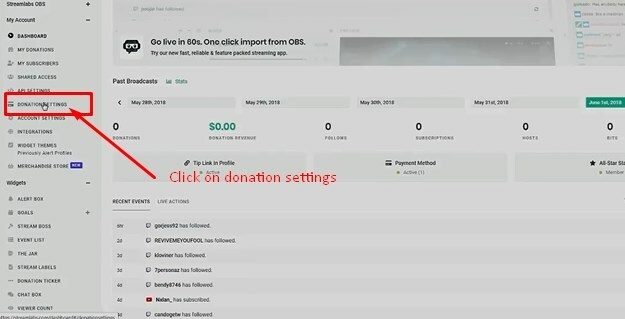 Your Page: This is you actual donation page, it will look something like: https://streamlabs.com/username. You can click on it to see what the page looks like. 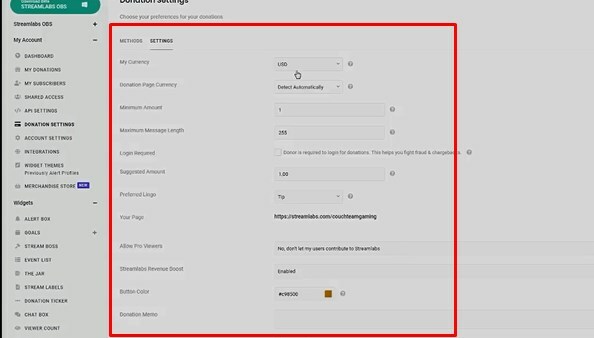 Allow pro viewers: This is to allow your viewers donate to streamlabs. 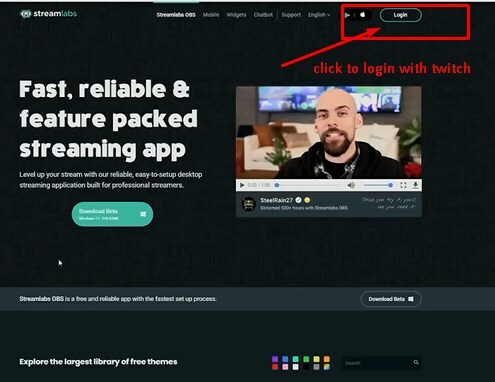 Streamlabs Revenue Boost: Select enable. This will allow your page to be updated with latest revenue boost whenever it is available. Button color : This will be the color of your Tip or Donation button ( you can customize it to any color you like). Banner override: you can change the default banner at the top of your page to your own if you want. Profanity filter: It is advisable to leave this disable. Default settings is better no need to change anything. Custom bad words: You can but in certain words here that you don't like to use. 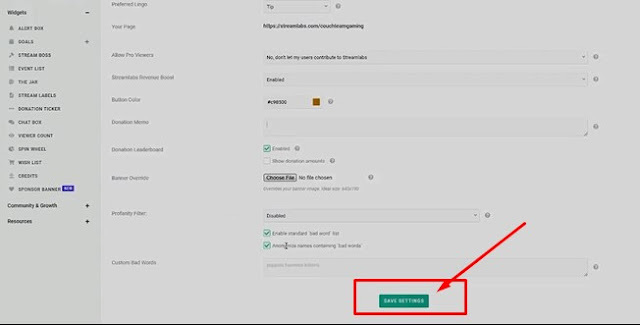 Step 6: Click on the green save settings button to apply your changes. Remember to copy your page link in step 6 to a private place because that is what we are going to be using, whenever people are going to donate or Tip your twitch channel stream. That is all.